The golfers in Washington DC aren't immune to the struggles of Northeast golf. Every year around the same time, golf courses begin closing up shop for the winter. This forces golfers to pack their clubs up as well, leaving their games to get rusty and making it harder to take their clubs out of the storage closet in the spring time. The winter time is no longer a time to pack up the clubs. 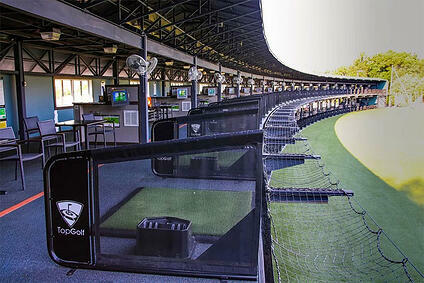 Here's a look at the five top indoor golf options in DC and the surrounding area. Next Level Golf in Herndon is a great indoor facility, complete with everything you need to train during the off season. They have two simulator bays, six hitting stations, and a putting green. The putting green is especially unique in the DC area. It’s a contour putting and chipping green that really is the best surface to simulate an actual putting green. Making reservations online requires an annual membership but you get plenty of incentives with the membership, including $15 to be used toward a lesson. Herndon can be a bit of a drive if you’re coming from the Northwest quadrant of the city, but it offers everything you need at affordable prices. With 20 championship golf courses to choses from, the Montgomery County Golf studio offer pretty unique simulators with some very realistic graphics. It also allows for up to 6 players to play at one time so it’s good for large groups. The golf studio is located at Needwood Golf Course located in Deerwood, MD. This would be a little more accessible for those living in Northwest DC but not so much for those living in the Arlington, VA. Make sure to call ahead if you plan to book because the simulators can fill up quickly. Any indoor golf blog wouldn’t be complete without mentioning Topgolf. Food and beverages delivered directly to a climate controlled bay, what’s not to like? The location in Alexandria also has free wifi. The other great element of Topgolf is that it allows you to take full swings and watch the ball flight. Simulators are great but, there is nothing like taking live swings and being able to watch the flight of the ball. Alexandria is a doable drive from almost anywhere in the city. Like most Topgolf locations, it can get pretty busy, especially on the weekends, so make sure to call ahead. Besides being a great 18 hole golf course, Blue Mash also offers some state of the art indoor simulators. In addition, they have winter leagues that you can join which are a great option to stay competitive during the winter months. While they have 80 different course options, you can also set the simulators to practice mode and get instant feedback on your ball flight. This is really a great option, especially if you’re trying to work on a specific aspect of your swing. I know, you’re probably thinking, “Mini golf, give me a break?” It’s worth checking out if for no other reason because it’s fun. The best part though? H Street CC is located in the city and doesn’t require a car to get to. The course is upstairs and offers 9 holes and it’s open on a first come first serve basis. It takes about a half hour to play so its quick , easy, and can be combined with night out. There you have it! 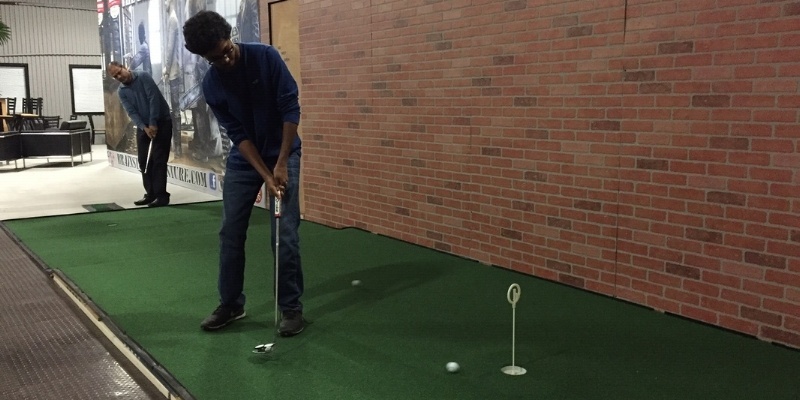 Five fantastic indoor golf options for those that live in DC. Now there's no excuse to be rusty heading into the Spring. As you're gearing up for golf season, mark your calendars for the Nextgengolf City Tour tournaments taking place in the DC area. Three tournaments from June to August for golfers in their 20s and 30s. Check out the full schedule here. **Patrick Curry is the DC City Leader for the Nextgengolf City Tour. Golf Rules Quiz: Hazard or OB?